Please note - the 2017 Labor Day Campout does not run this trail as a campout trail - it is a one day only trail. This Labor Day Campout trail features an overnight stay up on the flanks of the La Sal Mountains. The trip starts with 19 winding miles of pavement on Utah 128, a designated scenic byway. Then, the Onion Creek road is used to travel up to Fisher Valley, which is nestled below the towering La Sal peaks. From this valley a short "pass" is ascended and then descended to access Hideout Canyon. Eventually the route climbs Cowhead Hill and up onto North Beaver Mesa.Once up on North Beaver Mesa the trip travels along the flank of Polar Mesa, finally finding a gentle enough slope to climb up to the top of Polar Mesa. From here there are lots of old uranium mining remnants and numerous viewpoints from this high mesa. The night's camp is only a few miles away from Polar Mesa, allowing adequate time to explore some of the side roads on Polar Mesa that lead to the location of different mining camps. Day two features a short section of county road that skirts the upper end of Fisher Valley before starting a fairly steep winding descent toward Castleton. 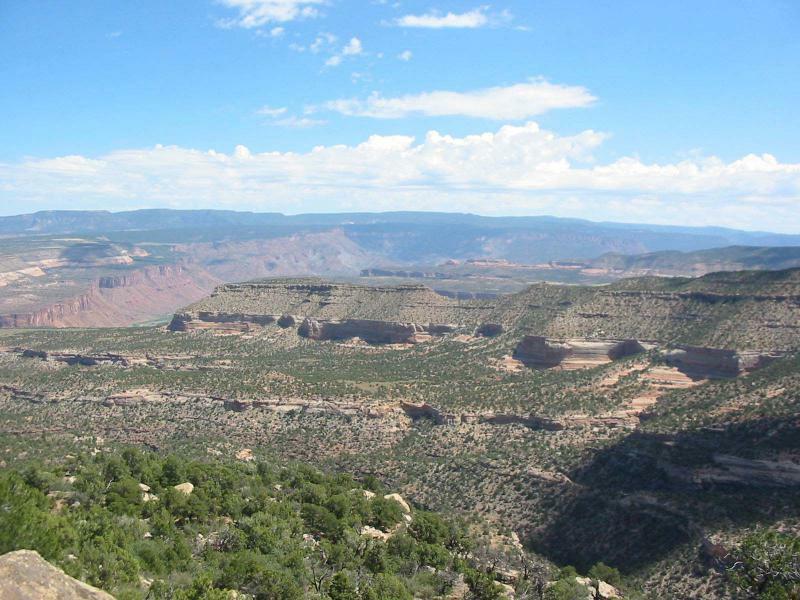 The La Sal Loop Road is then used to wind around to the western flank of the mountains. When the upper end of Sand Flats Road is encountered it is taken to provide a scenic descent from the alpine mountain vegetation back to the desert vegetation of the Moab valley. Make sure the gas tank is full for this one, 103 miles will be covered in the two days. 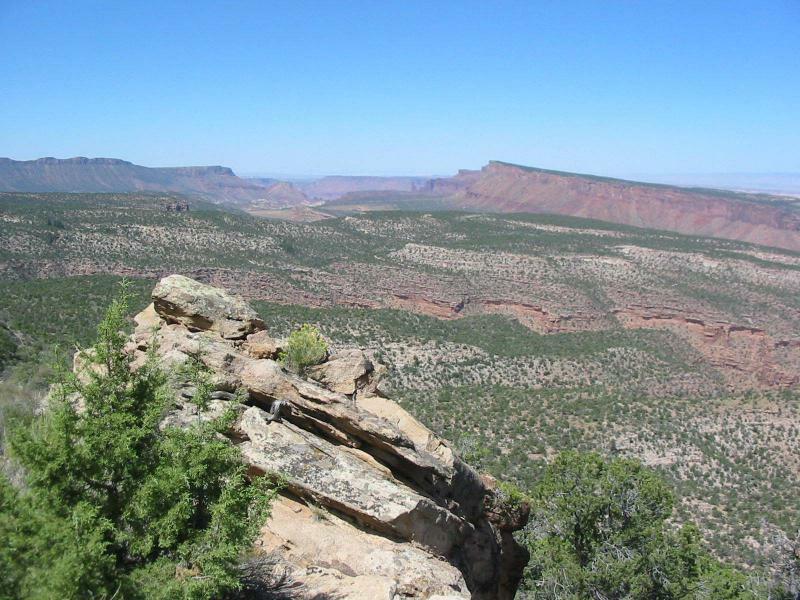 Sweeping vistas from the top of Polar Mesa look north to the Book Cliffs, east into Colorado, and west to the nearby La Sal mountain peaks. Old uranium mine buildings and machinery can be seen on top of Polar Mesa. Paved road, graded dirt roads, maybe a couple rough spots depending upon recent rains. 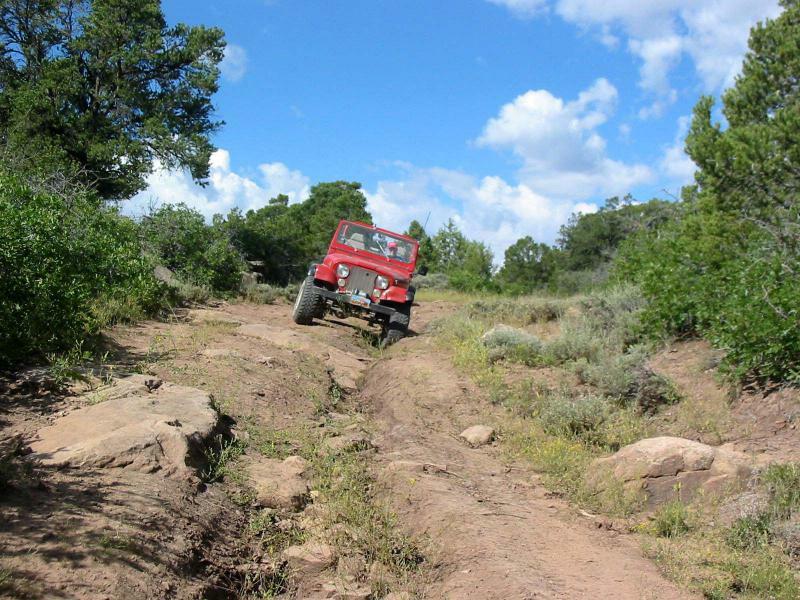 Few 4 wheeling obstacles are encountered on this trip, recent rains may add ruts across the road at many places, but seldom are they of any importance. 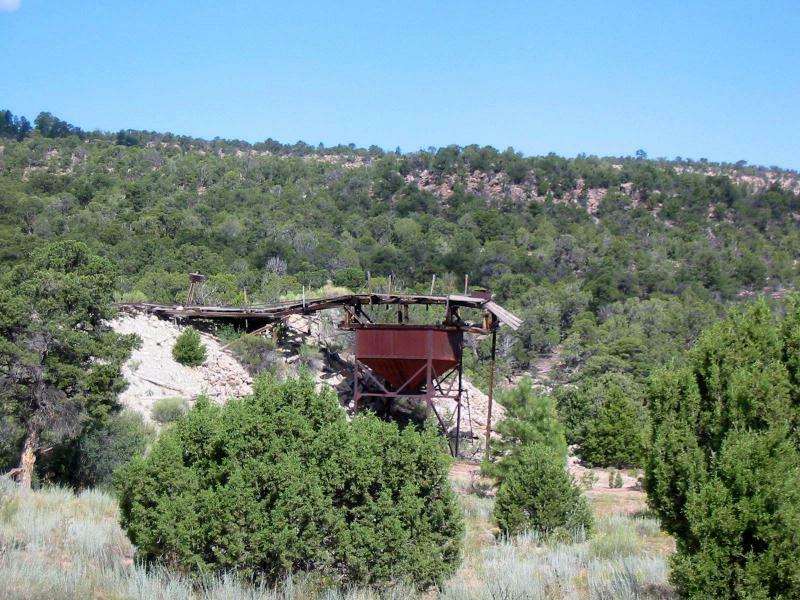 The roughest sections are found on side roads to mining ruins on top of Polar Mesa. 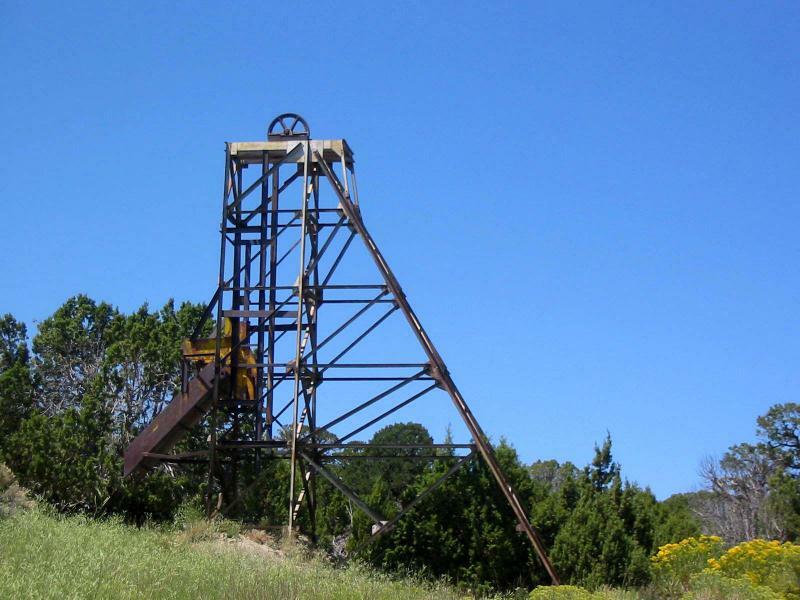 This trip is all about the scenery and the mining history. The camping in the La Sals offers a relief from the late summer heat in the Moab valley.